A few days after the shocking suicide of Kate Spade, the world mourned yet another death- that of Anthony Bourdain. 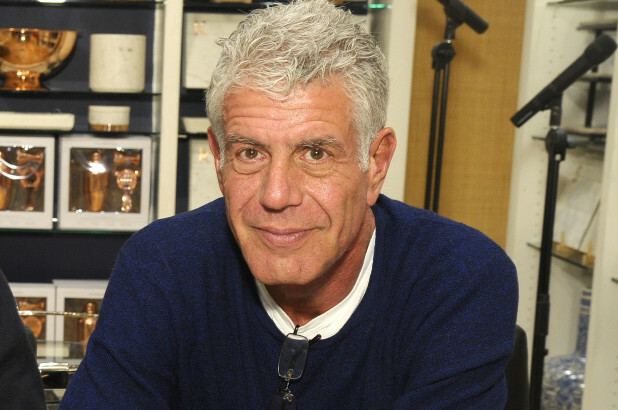 Bourdain was the host of CNN’s Parts Unknown and was also a food writer. He was found unresponsive in his hotel room in France by his friend and chef Eric Ripert. Since news of his suicide went public, condolences have poured in. Not only from fans of his from around the world, but from other celebrities who interacted with him. Almost every individual who offered condolences on social media made it a point to include the helpline for suicide prevention. Several individuals also spoke about their own battles against depression and suicidal thoughts, and how they overcame them. His mother expressed her shock at the suicide of her son. She said she had no idea why he would have taken his own life. “He had everything. Success beyond his wildest dreams. Money beyond his wildest dreams,” she told the Times. According to Ripert, Bourdain had been “in a dark mood” for a few days. Bourdain’s story is an indication of how money and fame do not control mental health. Even the most famous celebrities are prone to mental illnesses such as anxiety and depression. While we are aware of the deaths of Bourdain and Spade because of their fame, it is important to remember that there are several others who take their lives everyday. Studies have shown that people today are more likely to experience suicidal thoughts than they were several years ago. According to a report by the Centers for Disease Control and Prevention, about fifty-four percent of the suicides in the country were not because of existing mental health conditions. Sudden crises such as divorce, loss of a job, or death of a loved one were causes. Additionally, having easy access to means of committing suicide also contributes to the increasing statistics. While all of this data pertains to the United States, the findings can be applied to different countries, such as our own. In the States, barriers were placed on the Golden Gate Bridge, bringing down suicide numbers in San Francisco. Similarly, Australia changed their gun restriction laws and again, brought down the number of suicides. Countries around the world should look to implement laws and policies that safeguard the lives of its citizens. Another important factor to consider when it comes to preventing suicides is the mental health care available. More clinicians should be trained and more clinics set up, to cater to the needs of people. Additionally, there should be public health initiatives taken to spread awareness of how to manage anxiety and depression before it becomes a crisis. This awareness should start at schools, universities, and go on to offices. From parents and spouses to teachers and employers, every individual must be educated on mental health issues. In most cases, individuals choose to end their own lives because they feel hopeless about their futures and a burden to everyone around them. Reaching out to your friends and family when you’re feeling low is the first step to recovery. Conversely, make sure to constantly check on those close to you. Anthony Bourdain is proof that everything can seem bright and happy on the outside but upside down inside. Supporting each other and helping one another through hard times is a one way to fight mental illness. If you or someone you know is in need of help, call The National Suicide Prevention Lifeline- 022 2754 6669.